Open House Saturday 6/9/2018 from 10:00 AM - 1:00 PM. 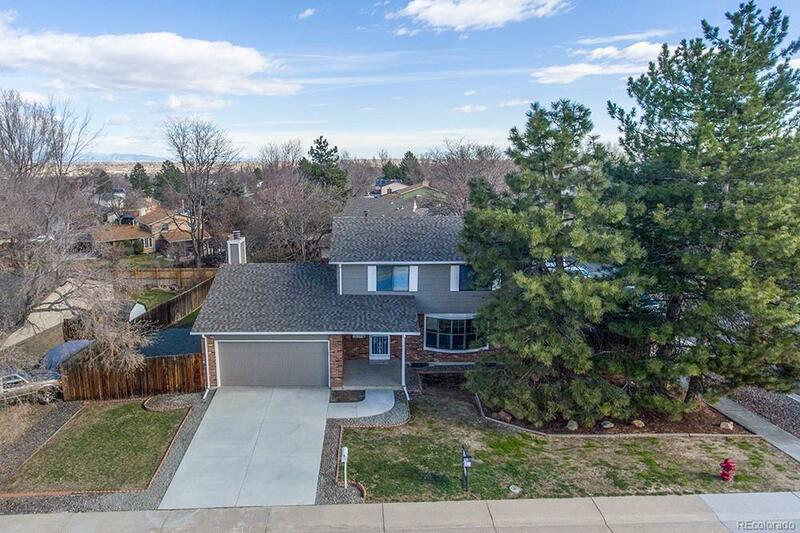 Located in beautiful Legacy Ridge West, this two-story shines with updates throughout! New concrete driveway/walkway, new carpet, new floors, new paint, new hardware and new full kitchen remodel! Covered porch opens to the living room and formal dining room. The bright kitchen enjoys backyard views, brand new stainless steel appliances, new counters, new cabinets and new laminate hardwood floor. Eat-in nook. Family room reveals a log fireplace and sliding door to back patio, convenient to half bath and laundry room. Upper level offers three bedrooms and a full bathroom. Lower level enjoys a large rec room and bonus room. Fenced yard with mature landscaping that offers shade and reprieve. Two-car garage with door to backyard.